User-friendliness and easy product management. Those are two characteristics that will have any web storefront driving up sales for your business. But what do these traits entail, exactly? Without clearly understanding what these concepts actually involve, they remain just overused buzzwords that have a vague meaning. 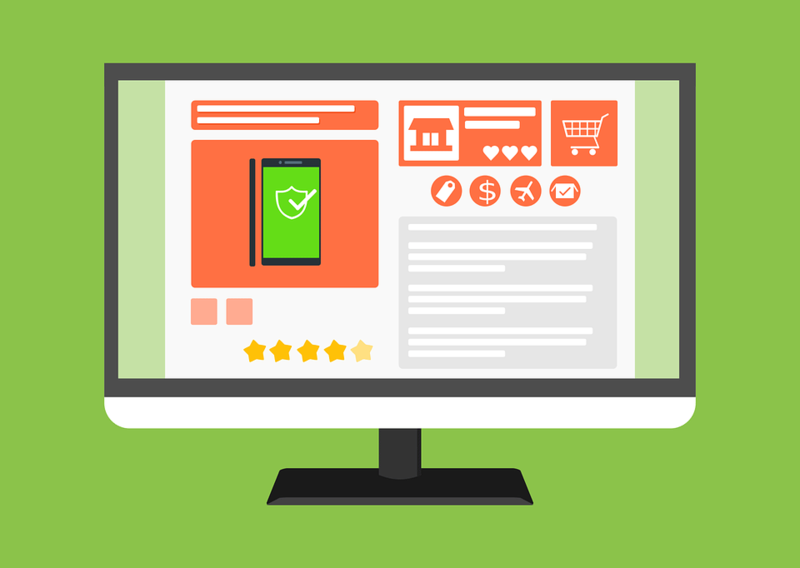 It’s important to gain deeper knowledge on this topic to determine whether your web storefront is set up for success or not. That’s why we’ve put together a list of eCommerce site features which are indispensable. The following paragraphs will better define those concepts. The same goes for shoppers who come across your web storefront. Think of your product page as a real-life store window. You will want to make it as attractive as possible, so they spend more time on your website. Now, the pictures need to be of high quality, but that may come at a performance cost in some cases. Still, you can use image compression software to reduce size without compromising quality. You can review some of StoreFront’s design portfolio right here. It will help you get an idea of what works best for your customers. If you’re selling products for different markets, you will need to create a section for each product category. It will make it more convenient for the customer. For example, take a look at BodyFactory’s website. With convenient drop-down menus at the top of the page, it’s easier for visitors to navigate through their vast range of products. The previous feature is a convenient way for your shoppers to find products that belong to a certain section. Still, you also need to keep this in mind: Some shoppers may not have the time to browse through an entire category. As such, you need to offer them the option to find what they need instantly. The search results page should include products that are on sale. People love sales; you know that. Don’t forget to include search filters so the process is made even easier. StoreFront’s software, for example, includes flexible filters. This way, you can customize the search experience for your customers. Nobody likes a convoluted web storefront. People like to have many features at their disposal, but you need to make them intuitive. Don’t just stockpile feature after feature with no coherence. Make sure every customer action takes as few steps as possible to be completed. For example, the search function shouldn’t require your client to go to another page. That’s just a sure way to increase your bounce rate (customers leaving the website after viewing one page). Many businesses face high shopping cart abandonment rates because of one reason: cumbersome checkout. The process should be easy for your customer. Think about it from a buyer’s perspective. Would you really waste 15 minutes of your precious time just to buy staples for the office? You wouldn’t, and neither would your customers. One of the biggest culprits of this is the sign-up process. You should offer people the option to shop anonymously, and the choice to sign-up after the process is complete. StoreFront’s software was tailored to help with that issue. Consumer reviews can be the deal breaker – or the deal maker – when it comes to making a sale. When you want to book a hotel, you always look at the reviews first, right? So do your customers when they want to purchase from you. Offer them the possibility of reviewing your products. Social proof is the way to go. Remember when we said people love sales? We weren’t kidding. Statista reports that a whopping 93% of U.S. shoppers use coupons and discount codes. Make use of this knowledge and integrate that option into your web storefront. Just because we want to see your store up and running successfully, we’ll give you a pro tip. It’s why many store owners often opt for volume discounts instead of price discounts. It’s also one of the reasons we’ve included that option in StoreFront’s shopping cart software. Dedicate a corner of your page to feature a product you think your customers will enjoy. Hint: you can use this section to highlight sales, discounts, and other benefits. As a bonus, you can take the example of Amazon and eBay and include a “related product” section. It makes it easier for your customers to find additional things they might want to purchase. What if someone wants to feature your product in their store? Make it easy for them by including an import and export product function on your website. It’s good business to allow other stores to showcase your own products. Who knows what fruitful partnerships may develop thereon? No matter how good your e-store is, no matter how much effort you put into quality, these things can happen from time to time. For whatever reason, someone will want a refund. It may actually work the other way around. People will take notice of how trustworthy your business is. After all, you show that you believe that “the customer is always right.” Therefore, you support their right to a refund if they consider the service was unsatisfactory. Just make sure to specify it in your company policy if you decide to NOT offer refunds. Transparency is essential. Most websites today include the option to subscribe to a newsletter. Not just eCommerce websites. That’s because it’s an efficient way to gain an email list to which you can send relevant information about your business. Decided to have a clearance sale on a particular product? Email away! You’d be hard-pressed to find a business which has NOT integrated social media into their plan. As with the newsletter, social media is a great way to increase awareness of your brand and products. Are you moderately active on a social network? Then you’ve probably noticed some female friends sharing links to a trendy dress or a fancy pair of shoes. Or some of your son’s friends sharing links to a Steam video game. It’s the modern version of “word of mouth” marketing. Make use of it! We’ve integrated Google Analytics into our software to help you out with that. These features are just the tip of the iceberg. To ensure your company thrives from the get-go, we’ve created StoreFront. Design a winning web storefront with ease, and take your business to the next level right now!